I’ve often wondered about the credibility of the theory of planting according to moon cycles- and this year I (accidentally) did an experiment with my garlic crop. Last October, I planted the bulk of my garlic according to the moon cycle- 3rd week waning moon. 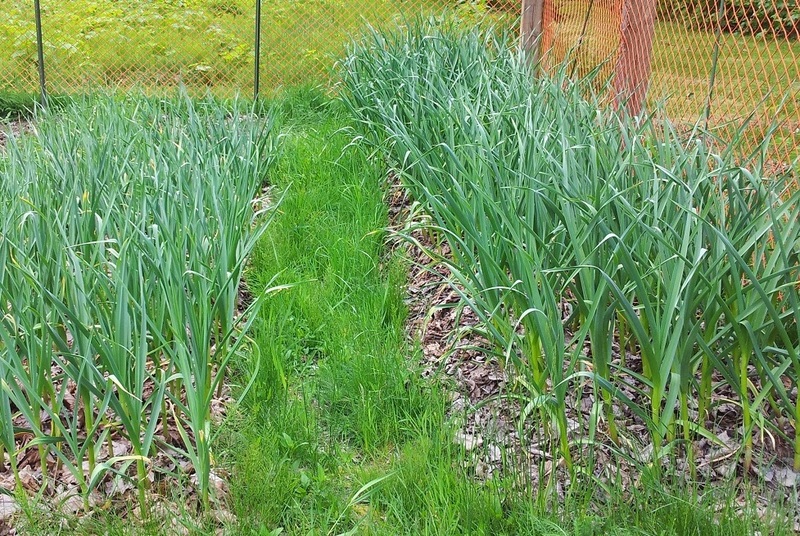 Then a few weeks later, realized I still had a lot of good planting garlic left, and figured I should plant a bit more. That was just after the new moon. here’s the results- stuff on the right was planted ‘properly’, stuff on the left was 2 weeks later, on the waning moon. I can’t explain it- but there is no denying the difference! Lived in the valley for 20 years! Still think its a magical spot-- we have a special place with lots of great neighbours, hoping we can keep that sense of neighbourhood going! Very interesting Ellie. I plan to put some garlic in this fall and will definitely do it during a waning moon. Thanks for the information and by the way, your garlic looks great!